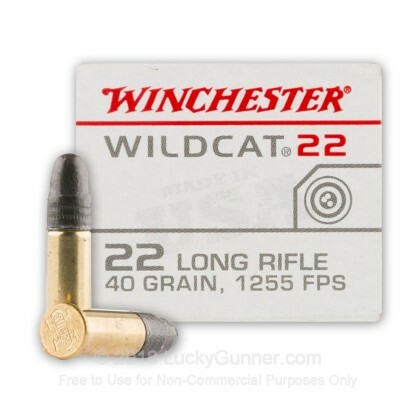 Wildcat 22 LR ammo by Winchester is reliable, consistent, and accurate. 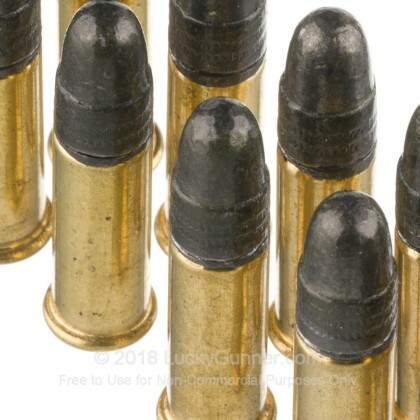 This ammo is great for target shooting as well as hunting small varmints. 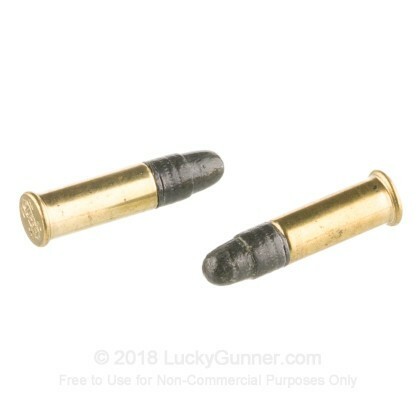 Winchester began offering its quality product in 1866 and has been providing the citizens and military of the United States with the same standard of quality ever since. 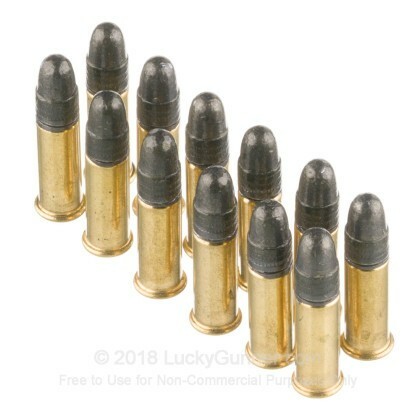 This ammo is brass cased, boxer-primed, non-corrosive, and rimfire primed. Most Winchester ammunition is loaded in their Oxford, Mississippi manufacturing facility. 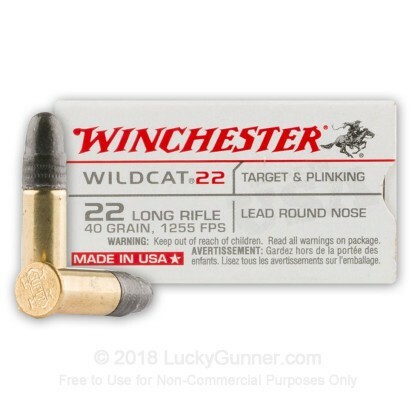 We also have this .22 Long Rifle - 40 grain Lead Round Nose - Winchester Wildcat - 500 Rounds ammo in stock in a bigger quantity. 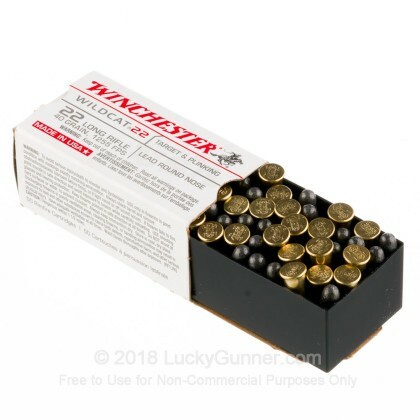 We also have this 22 LR - 40 gr LRN - Winchester Wildcat - 5000 Rounds ammo in stock in a bigger quantity.